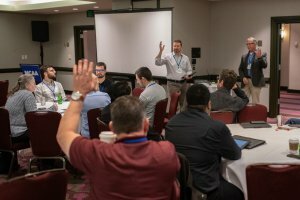 At the previous MCAA Tech Conference, a popular session called 60 Ideas in 60 Minutes allowed members to share some of their best ideas to improve their processes. The winning idea was the use of a Logitech G13 Programmable Gaming Mouse that allowed for multiple configurations and hot keys to be pre-programmed. By configuring the hot keys for the specific program, BIM technicians are able to cut down on the number of clicks and the time for each step of the design. In this video, Sean McGuire, MCAA's Director of Construction Technology is joined by Josh Bone, Dewalt's BIM/VDC Specialist to demonstrate how it can be used and how much time can be saved. While this product is no longer sold, new recommendations by Max Keyboards were made at the 2019 Tech Conference that also include custom key icons. 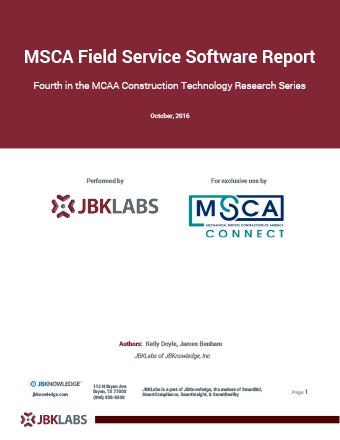 The newly released MCAA-Focused Construction Technology Report produced by JBKnowledge reveals that MCAA members are advanced in BIM and other technology solutions but are underspending on research and development compared to the rest of the construction industry. Virtual Design and Construction (VDC) teams need high-powered digital work horses. While expensive, they are a necessary cost of doing business for any contractor that is working with BIM software. 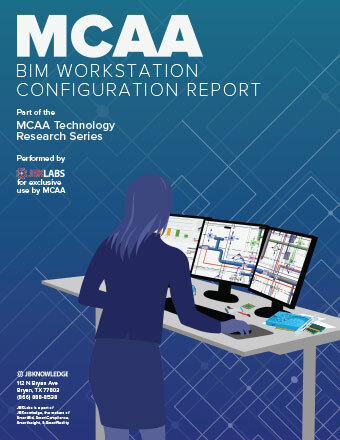 Managers without a computer science degree have a hard time making educated decisions when it comes to spending, but MCAA’s new BIM Workstation Report provides recommendations to help you save money and increase the productivity of your VDC department. 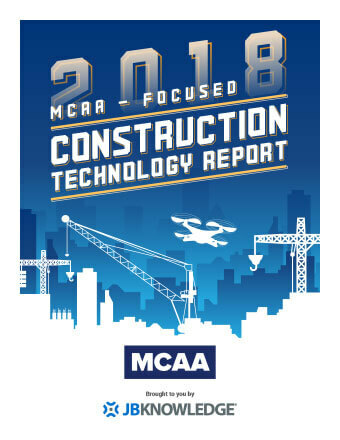 Approximately 250 MCAA members were able to take home lessons from world class speakers and industry leaders on the tools, techniques and technology that can upgrade their operations. 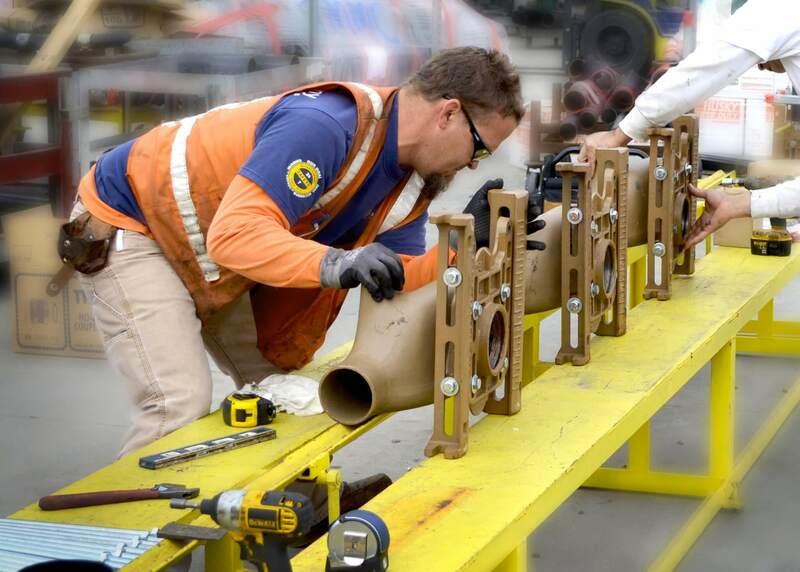 The Murray Company, located in Rancho Dominguez, California, will open their doors to demonstrate modern fabrication practices to MCAA members this May. 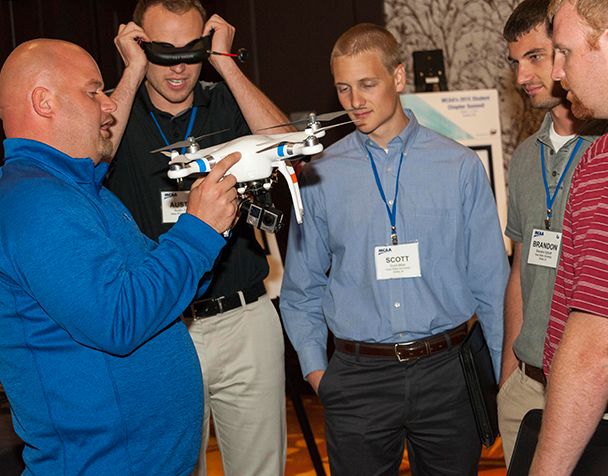 Did you miss our 2019 Technology Conference in Tampa? Check out this quick video recap of the highlights. 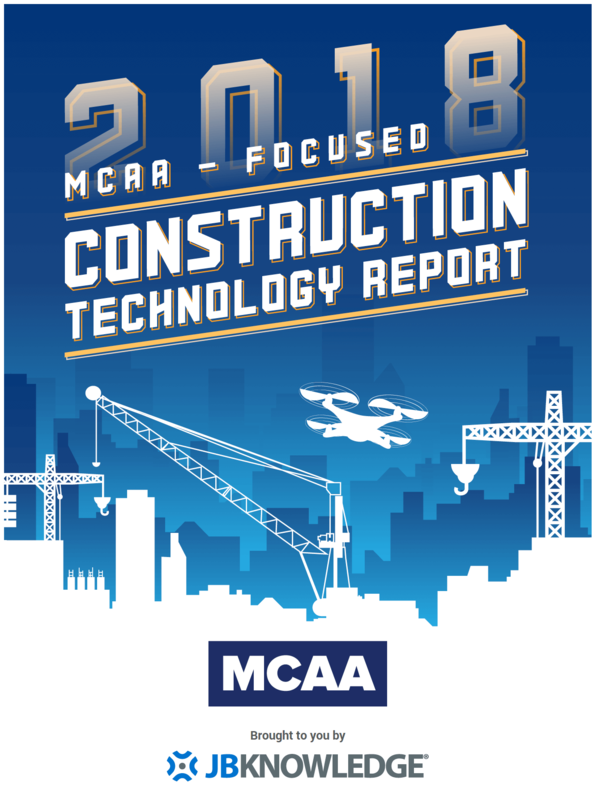 If you have any questions, contact our very own MCAA Geek, otherwise known as our Director of Construction Technology, Sean McGuire. 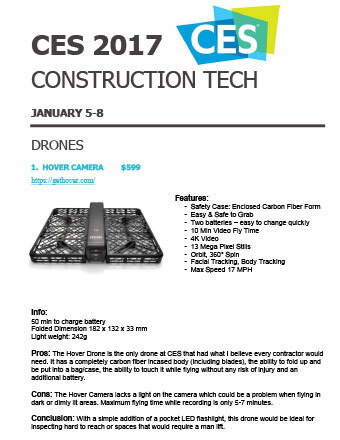 You won’t want to miss the next Annual Technology Conference, already scheduled for January 29 - 31 in San Diego, California. Put it on your calendar because we guarantee this will be the best yet. 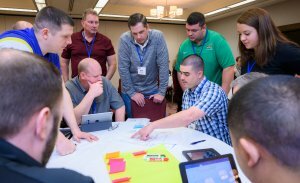 MCAA’s GreatFutures Forum… Where Students and Contractors Come Together - September 19 - 21 in Washington DC. We hope to see you there! 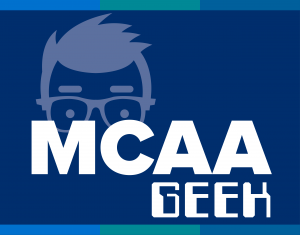 Director of Construction Technology Sean McGuire is your @MCAAGeek, so follow him on Twitter to keep up with what’s on his radar screen day in and day out. We’re in a time when disruptive change has come to our industry – change that creates new markets and new value propositions, but also disrupts our existing way of doing business. We have the opportunity to seek out new ways to improve productivity. The opportunity to look for new ways of getting the job done better and faster. 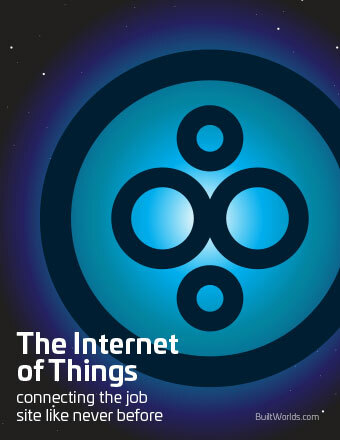 And the opportunity to seek out new technologies that simply do things we never thought were possible. Ignoring change is simply not the best option if we want our companies to continue to be as successful as they can be. 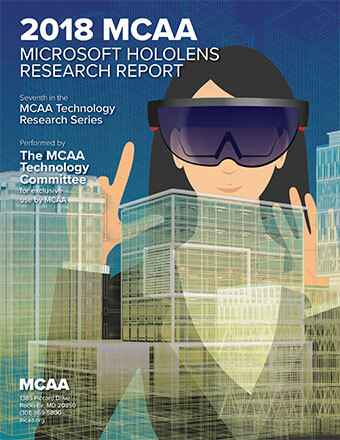 That’s why MCAA created the Technology Initiative. With your association's help our members can understand the challenges of technological change and exploit the opportunities it creates. For more information, contact Sean McGuire. 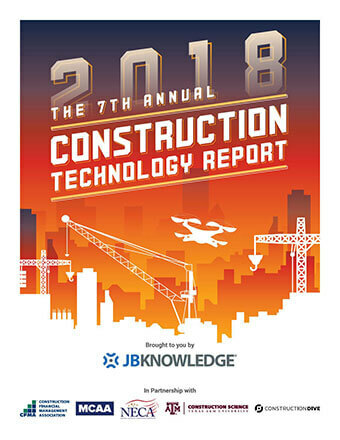 This webinar offers additional insights into the 7th Annual Construction Technology Report written by JBKLabs exclusively for MCAA's Technology Research Series. James Benham, the CEO of JBKnowledge, joined Sean McGuire to discuss the findings from the study. 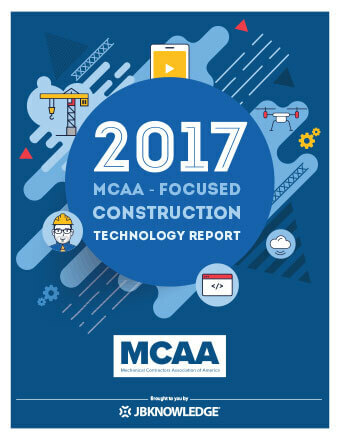 This report enables MCAA members to see how their companies' use of technology compares to other MCAA members as well as the industry at large. A companion webinar is also available. 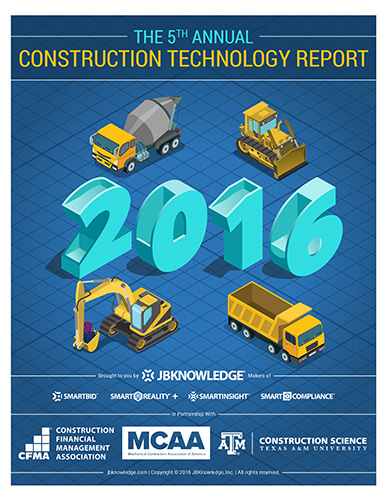 JB Knowledge, MCAA's construction technology research partner, conducts an annual report on construction technology practices. Participants came from across the construction industry, including MCAA members. 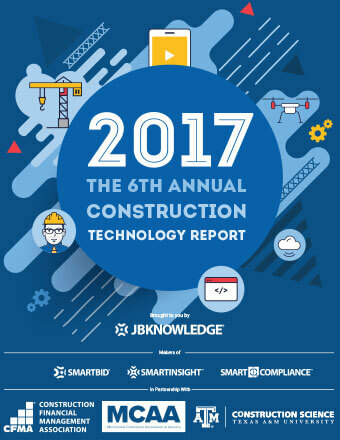 JB Knowledge, MCAA's construction technology research partner, conducts an annual report on construction technology practices. 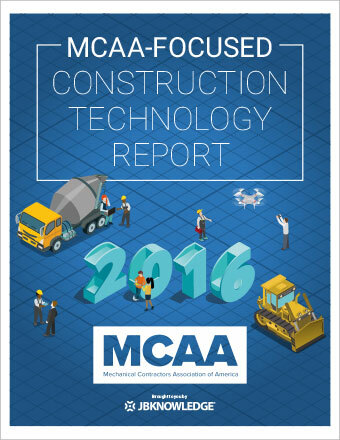 Participants came from across the construction industry, including 700 MCAA members. 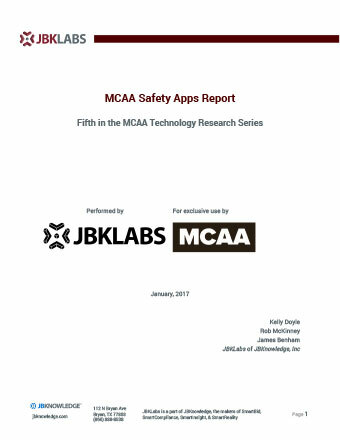 This webinar offers additional insights into the MCAA Robotic Total Station Report written by JBKLabs exclusively for MCAA's Technology Research Series. 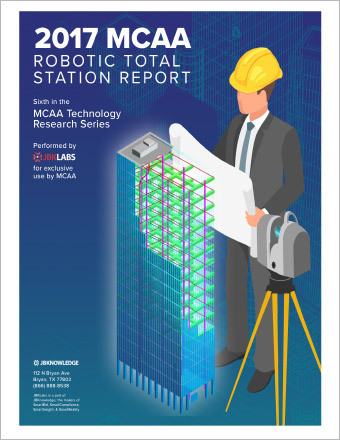 The report's principal author, Josh Bone, reviews findings from the report and provides additional information about how robotic total stations, when used in concert with BIM, have the potential to drastically improve productivity. 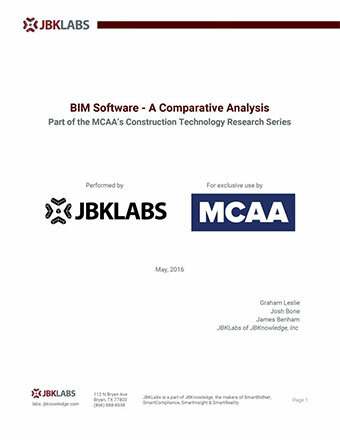 In this webinar, Josh Bone, the lead author of MCAA's second Construction Technology Research Report on BIM, presents some insights from his research findings.